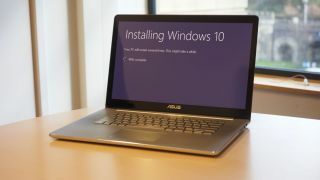 Microsoft has announced that the free upgrade from Windows 7/8.1 to Windows 10 for those who use assistive technologies will cease at the end of this year. The software giant had previously said that the accessibility-based upgrade would not last forever, and that it would make a public announcement when the scheme was being brought to an end. And, obviously enough, this is that announcement. Theoretically, you aren’t supposed to use the assistive tech upgrade if you don’t make use of Windows 10’s relevant accessibility features, but as no verification system is in place to check whether users do or not, anybody has effectively been able to use this as a morally dubious upgrade route. But, not for much longer. However, another potential route to a freebie upgrade could still remain open. The question is: will this second route to a free upgrade also cease at the end of this year? We won’t know about that because, as we’ve mentioned, Microsoft has never officially commented on this particular avenue of upgrading. In official terms, it doesn’t exist. But, if you do want to upgrade to Windows 10 via an existing retail product key, we’d probably do so before 2018 rolls around, just to be on the safe side.